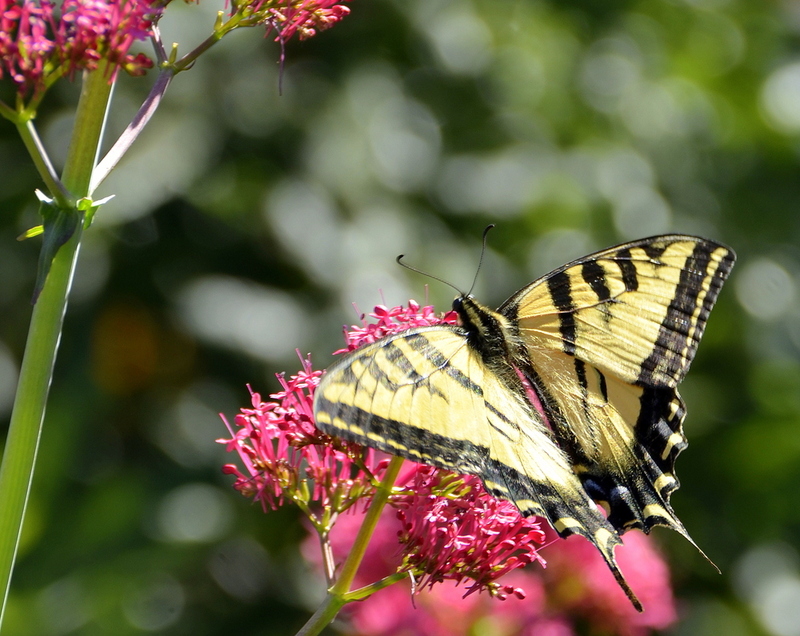 More than just a butterfly garden and as important as copepods in the marine environment, the garden, cared for by the UCCE Master Gardeners of Orange County, assists all pollinators, bees, hummingbirds and butterflies, the habitat to utilize for all life cycles. Bees in particular, are at risk with diseases affecting their population, PMMC goes beyond and embraces conservation practices for all species not only marine mammals and sea turtles. PMMC is also a part of the Pollinator Partnership whose mission is to promote the health of pollinators, critical to food and ecosystems, through conservation, education, and research. Come in and explore beyond the marine environment. "Pinnipeds, Pollinators and People – We’re all in this Together"
UCCE Master Gardeners of Orange County took on the task to revitalize the garden area in and around Pacific Marine Mammal Center in an effort to help educate visitors about the importance of using water wisely, creating homes for our pollinators and ensuring we all do what we can to keep our waterways clean. •Limit pesticide use. Use nonchemical methods or least-toxic pesticides. •Avoid using pyrethroid insecticides.These products, which include bifenthrin, cypermethrin and permethrin are among the most toxic to aquatic animals. •Cut back on fertilizer. More is not better. Turf, flowering shrubs, and some annuals and fruit trees often require regular feeding, but ornamental trees do not. Use a mulching mower to recycle lawn clippings and reduce fertilizer applications. •Use slow-release fertilizers, including composted organic fertilizers, which are less likely to move into water. Be sure to measure and apply them according to label instructions. •Don’t let fertilizers or pesticides get away on hard surfaces such as sidewalks or driveways. Sweep any material that accidentally lands on hard surfaces back onto the lawn. •Dispose of garden chemicals correctly. Never sweep, hose off, or pour leftover pesticides or fertilizers into drains or gutters. •Reduce runoff by making your landscape water efficient. •Minimize runoff by using mulches in beds and permeable materials for walkways and driveways. Aerate and add organic matter such as compost to heaving or compacted soils. Install terraces or other features on slopes to keep water on site. •Check and maintain your irrigation system so water does not run off your landscape onto hard surfaces and into gutters. •Improve watering efficiency and distribution by using equipment such as drip irrigation, soaker hoses and “smart” irrigation controllers and rotor heads. Problems occur when we dump garden chemicals down drains or when chemical residues wash into gutters, storm drains, and streams by rain, garden watering, or cleaning up with the garden hose. Garden chemicals not only threaten aquatic life; they also can affect the quality of our drinking water. Help keep our rivers, creeks and oceans clean. “It is the perfect place to create a learning environment for the general public,” said Master Gardener and project lead, Ingrid Cebula. “The garden adds value to the entire experience of what each of us can do to help support our precious earth.” Garden plans also include informational signs throughout the landscape and free educational materials at the PMMC gift shop. Master Gardeners can be frequently seen tending to the garden, ready to answer questions. Article posted with permission from the UC Master Gardener Program Statewide Blog. Thank you!